If you want to draw attention to your ice cream shop and drive local business to it then you might want to consider creating flavors that are themed to local attractions in your area. For instance, in the photo below you can see a scoop of ice cream topping the chocolate known as Rosarium. This pink ice cream is made out of edible rose petals. 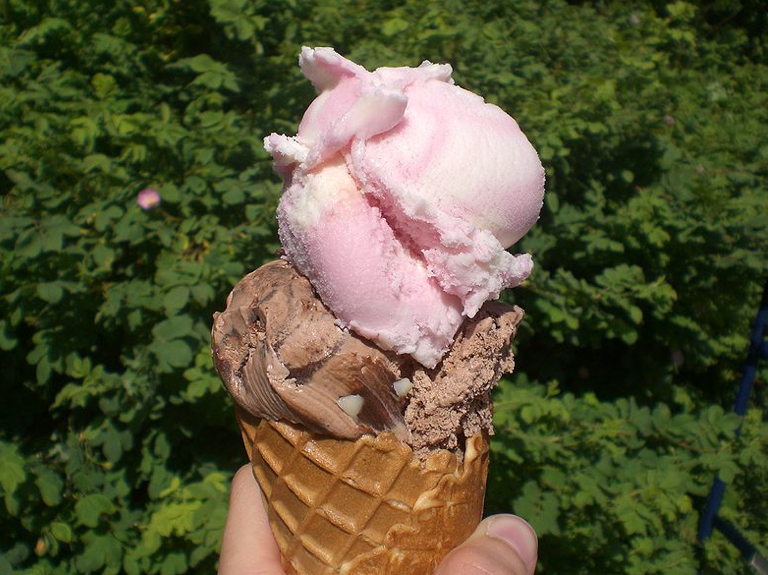 The ice cream vendor invented this specialty flavor because was located in a well-known rose arboretum in Sangerhause, Germany. You could come up with similar concepts to match local attractions. 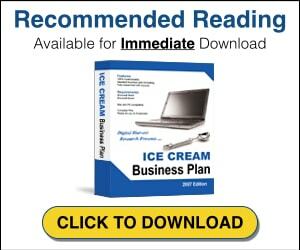 For instance if you own an ice cream shop in Vermont you might want to come up with a maple sugar flavor of ice cream while the syrup is running in the spring. 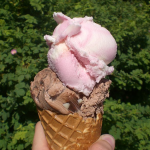 If you live in the Niagara region of Canada, which is famous for it’s wineries, then a special rose wine flavored ice cream might be in order. If you live in Florida and it is the season for Blood Oranges, then try making a specialty flavor that matches that. The ideas for creating these types of flavors are only as limited as your imagination.